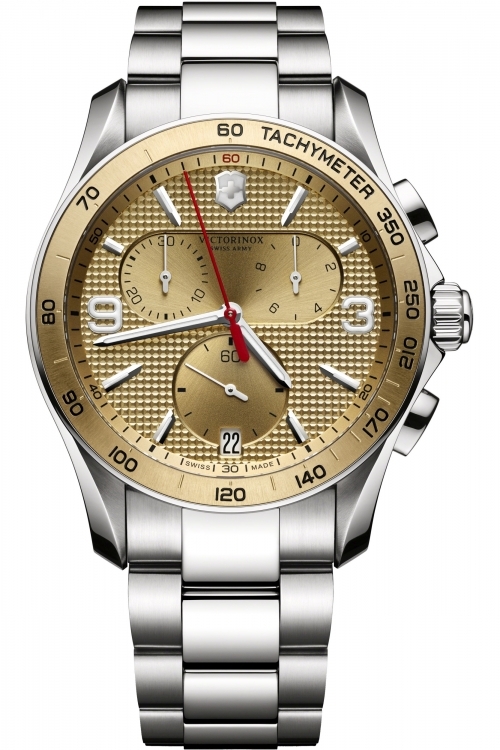 Victorinox Swiss Army Chrono Classic 241658 is an amazing and handsome Gents watch . Material of the case is Two-tone steel/gold plate, which stands for a high quality of the item while the dial colour is Champagne. The features of the watch include (among others) a chronograf and date function. In regards to the water resistance, the watch has got a resistancy up to 100 metres. It means it is suitable for swimming, but not guaranteed to be resistant to jumping into the pool. We ship it with an original box and a guarantee from the manufacturer.